How Long Does a Strut Assembly Last? Most modern cars on the road today use a combination of shocks and struts in the suspension system. Struts are used on the rear, while each front wheel is equipped with a strut assembly. 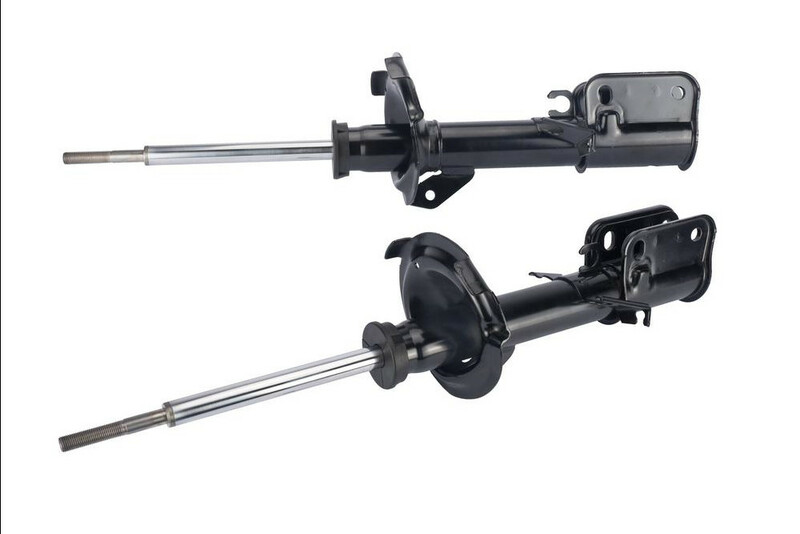 Struts and shocks are pretty similar, except for a few key factors, including the assembly used to mount them to the vehicle. A strut assembly includes a number of different pieces. There’s the strut itself, of course, Then there’s a coil spring, as well as at least one rubber damper (usually at the top, but some designs have one at the top and the bottom). Your struts are in use at all times, technically, but they see the most stress and wear while you’re driving. Your car has either gas or fluid filled struts, and over time, the seals on the ends will wear. When they fail, the gas or fluid inside will leak out, affecting your suspension, ride quality and handling. In terms of assembly wear other than the strut itself, there are a few things to be aware of. For instance, the rubber dampers tend to dry out and become brittle, reducing their ability to eliminate noise and vibration. The spring can be affected too, but this is rare and mostly seen in older, high mileage vehicles. Rust, corrosion and general wear can reduce the spring’s tension, allowing the suspension to sag. There’s no real rule about how long a strut assembly should last. Struts themselves are regular maintenance items and should be inspected at each oil change so they can be replaced immediately when necessary. The rubber dampers and springs will possibly need replacement at some point during your ownership, but your driving habits will have the most impact on those. If your strut assembly has seen better days, then a professional mechanic can help to inspect your suspension and replace a failed strut or strut assembly. Q: how difficult is it to replace from struts and rear shocks in my oldsmobile aurora 4.0 ? Q: After Monroe struts installed and multiple alignments, vehicle pulls.